150 years ago, on the fields of Gettysburg, Pennsylvania, a battle occurred that helped decide the fate of the United States. As the troops moved across the field, they only had two options: foot or horseback. Today, however, the millions of tourists who flock to the battlefield each year have more options to get around. Sure, some still traverse the fields by foot or by horse, but most use their cars. However, for the more adventurous of us, there is another option: Segway. 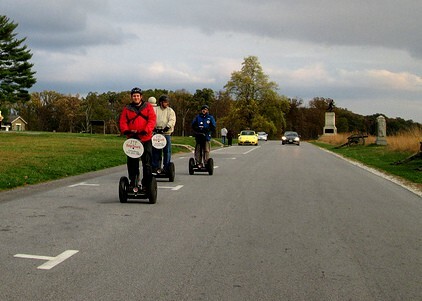 Segway tours of Gettysburg start with a safety video and mandatory training on the in-store obstacle course. The thought of riding a Segway can be intimidating if you’ve never had the chance to ride one, but it really is quite simple to get the hang of. My trip with Segway Tours of Gettysburg was my second tour on a Segway (my third was at the Hotel Hershey in Hershey), and, despite not having the balance of an Olympic gymnast, I’ve never had any issue figuring it out. The reality is that stepping onto a Segway for the first time is like getting on a bike after a long absence. At first, you might feel a bit wobbly, but once you get your balance figured out, it’s quite easy. Once you’ve mastered the obstacle course in the store, which shouldn’t take more than 15-20 minutes, it’s time to hit the open road. 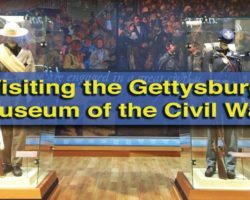 Any tour of Gettysburg is designed to teach you about the battlefield, and the Segway tour is no different. The standard tours include an audio narration recorded by a licensed battlefield guide, or, for a bit more money, you can have a guide actually present on your tour. When you have a guide on the tour, he rides at the back of the group, giving you information through a headset as you go. 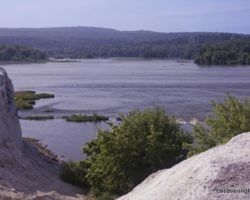 Your trip also includes several stops where the guide will point out areas of significance. 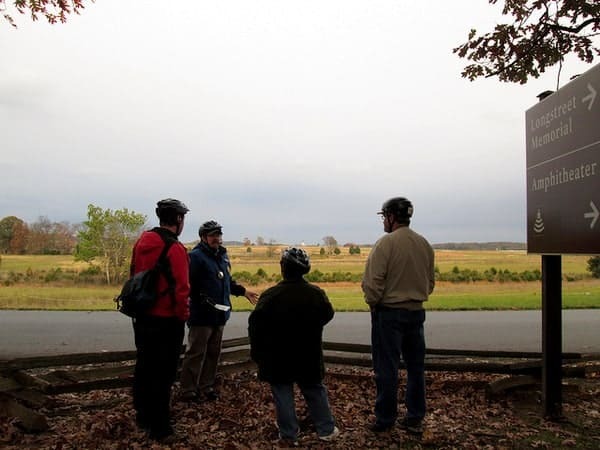 Segway Tours of Gettysburg offers two different courses for visitors. The most popular choice, and the one I did, is the Western Battlefield. 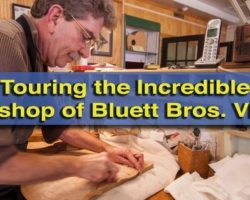 On this tour, I traveled nine miles and got to see most of the battle’s main points of interest including Seminary Ridge, Little Round Top, and Cemetery Ridge over the course of about 2.5 hours. Taking a break to talk a bit more about the history of the Gettysburg Battlefield. The great thing about the tour is that you’re not just learning about history, but you’re having a lot of fun in the process. The course I took has its fair share of hills, making the riding more fun and challenging. While we were on public roads the whole time, most of the trip is taken through the well-paved roads of the battlefield, meaning both less and slower traffic. Overall, I really didn’t have any complaints about my trip. It was a bit difficult at times to pay attention to the guide while I was getting the hang of the Segway, but overall, the system of microphones and headsets works quite well. They also have several little touches that I really appreciated. For example, while on the tour, the guides are constantly taking pictures, ensuring that you have some nice photos that you can download from your tour. Also, the day I took the tour was one of the first cold days of fall. Segway Tours of Gettysburg not only provided gloves and hand warmers, but they also had some fantastic hot tea for our brief snack break. 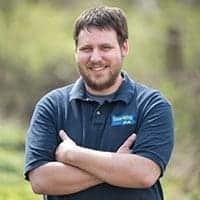 I would recommend this tour for anyone who’s ever thought that a Segway looks fun (they are) or someone who is looking for a unique way to see the battlefield. 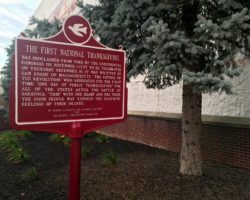 This tour would be especially great for anyone dragging reluctant teenagers along for the trip (note that there is a minimum age and weight requirement). I doubt there’s a more fun way to see Gettysburg than on a Segway Tour! In my opinion, I doubt that there is a more fun way to see the Gettysburg Battlefield than on this modern steed. 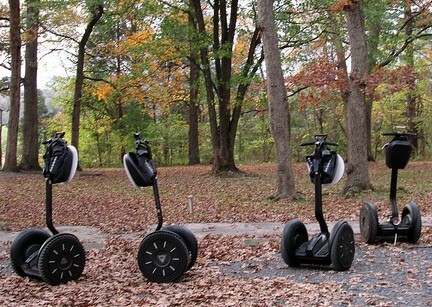 For more information on Segway tours of Gettysburg, visit their website. Note: My Segway tour was sponsored by the Gettysburg Convention and Visitors Bureau. The options expressed in the post are my own. This looks like a fun way to get around. I’m thinking of visiting Gettysburg next month, weather permitting and would love to feature it on my site. Thanks for the insight and idea. It’s a lot of fun. 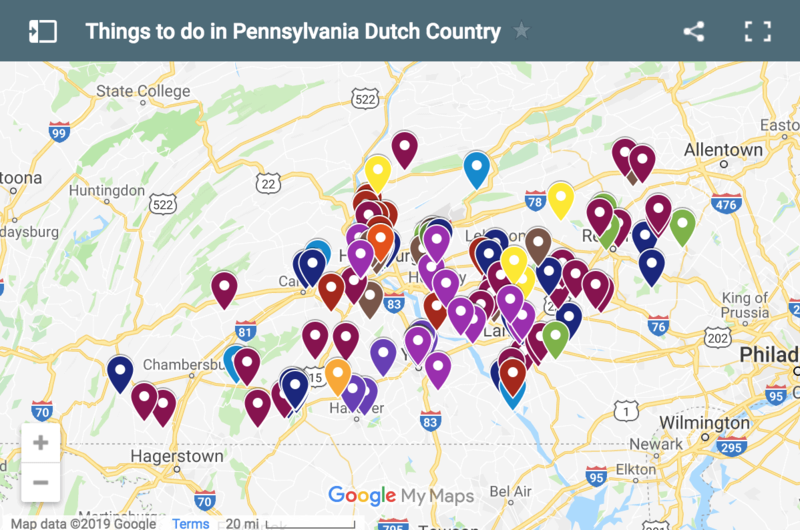 If you need any suggestions for things to do in the Central PA area, let me know. 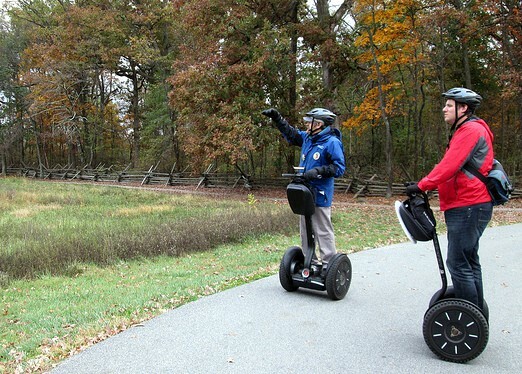 Segways are a ton of fun, and they’re a great way to see the battlefield. Thanks for the comment, Ron.